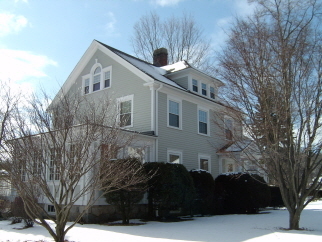 Awesome older Colonial w/ cen air, 2 car garage! Interior Features Hardwood floors thru-out, meticulous period detail, with built-ins, fireplace and formal dining. Newer furnace, windows, roof and electrical. Exterior Features Apinted within the last 4 years, Large fenced in yard, fenced in pool area and plenty of parking. Extra entrance for in home business.